With a richly sensory approach that embeds the viewer within the action of the arena, Tajen is a poetic visual evocation of the intimacy, brutality, and festivity of the fight. While neither approving nor decrying this tradition, the film immerses the viewer into the visual and auditory domains of steel, feathers, blood and the money that defines Tajen. Shot in the arid landscape of West Bali, Indonesia, Tajen, Balinese for cockfight, follows multiple narrative threads of this ancient spectacle– that of the blade, the rooster, the cockfighter. It is the moment when these elements come together during the bloody match that the real drama begins. Robert Lemelson is a cultural anthropologist, ethnographic filmmaker and philanthropist. Lemelson received his M.A. from the University of Chicago and Ph.D. from the Department of Anthropology at UCLA. Lemelson’s area of specialty is transcultural psychiatry; Southeast Asian Studies, particularly Indonesia; and psychological and medical anthropology. He currently is a research anthropologist in the Semel Institute of Neuroscience UCLA, and an adjunct professor of Anthropology at UCLA. Alessandra Pasquino is a filmmaker and producer of documentaries, commercials, and special projects. She has collaborated with many artists and celebrities including: Oliver Stone, Wayne Wang, Klaus Kinski, Gregory Colbert, Leonardo Di Caprio, Pietro Scalia and Matthew Rolston. She is currently developing documentary projects both with Elemental Productions and independently. Briana Young is a visual anthropologist. She earned a B.A. from UCLA in cultural anthropology and a Masters degree in visual anthropology from USC. Since graduating from USC she has worked on the Emmy nominated documentary Superheroes, created videos for Novica in association with National Geographic, and has filmed and edited in over 15 countries around the world from the Galapagos Islands to Nepal. Her short film, Screw It, I’ll Play Make Believe, has been screened internationally at festivals, broadcasted nationally on The Documentary Channel, and her thesis film Ladies of the Gridiron was selected to be part of KQED Truly CA Shorts, and is used as a teaching tool on gender roles and women in sports in classrooms across the country. After graduating with a B.A. 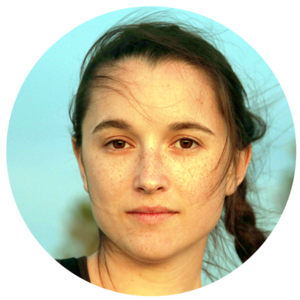 in Anthropology from UCLA, Julia began working in ethnographic film at Elemental Productions. For the past three years, Julia has worked on all aspects of filmmaking from initial concept to final output and distribution. She has a passion for storytelling and world cultures. When not working Julia can be found fostering dogs and cats as a volunteer for various rescue organizations in Los Angeles.